OF OUR ARCHERY RANGE FIRSTHAND. For all types of archers in Woodstock, our archery store is stocked with the top-of-the-line equipment you need to draw your bow and nail your target. Triggers and Bows carries the top long, recurve, crossbow and compound bows as well as a huge selection of accessories. We have bows and arrows to suit any archery enthusiast, whether you’re out hunting in the woods, a competitive archer or trying out the sport for the first time. 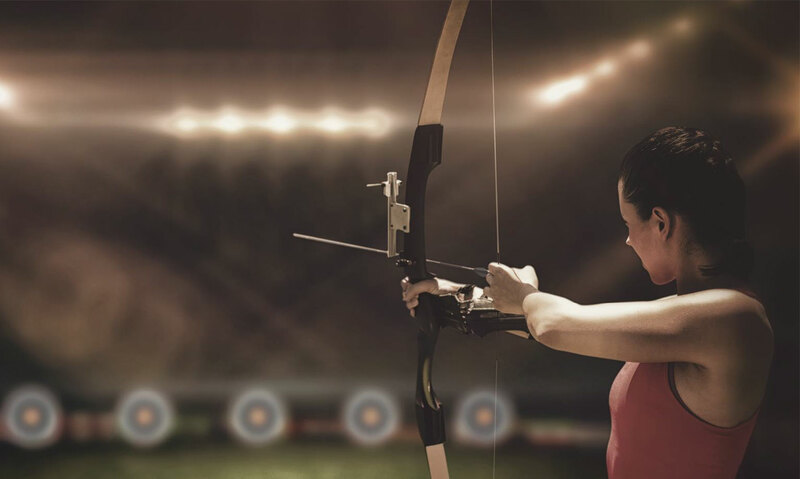 Our location features a state-of-the-art archery range you to practice your shooting skills, or you can join one of our adult and youth archery leagues. View our products online or visit our store near Woodstock to browse our selection of top archery brands. Our staff are ready to get you geared up for your next archery outing. Located near Woodstock, visit Triggers and Bows today! Wherever you’re heading for your next archery adventure, whether it’s the bush or the range, we have the gear you need to have a great time. Triggers and Bows carries any bows, arrows, quivers, bow strings, sights or other accessories that you could ever need. For bow hunters, we also have a huge selection of hunting clothing and gear so you can have a comfortable and successful outing. For hunters, seasoned competitors and brand new archers alike, Triggers and Bows carries any archery equipment you could need at our location near Woodstock or in our online store. Excalibur has teamed with arrow manufacturer Easton® to develop the new Quill Carbon Arrows, specifically designed for use with Excalibur’s Micro Series crossbows. Quill Carbon Arrows are 16.5 inches long and feature 2-inch offset vanes for flawless flight when matched with the appropriate broadhead. Extensive testing has shown Quill Carbon Arrows to be the perfect choice for hunting with all Excalibur Micro Series crossbows. Available in 6-packs or with the amazing illuminated Lumenok inserts (shown) in 3-packs.